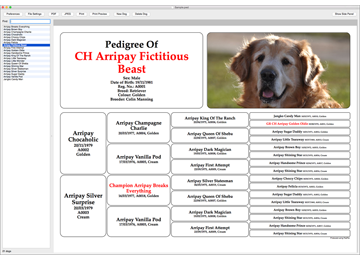 Our pedigree software products help breeders of cats, dogs and other animals efficiently manage breeding records and print wonderful pedigree certificates. We have products designed for both Windows and Mac computers. As a breeder you care about the health and well-being of your breeding stock and you know its important to store and manage the information about them. Our pedigree software helps you to keep it all together in one place - starting with the key details like name, date of birth, sire and dam, breed, microchip data and so on. 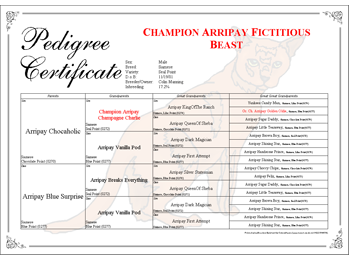 Using this information you can then easily print those essential pedigree papers - the certificates. Compared to the traditional method of hand writing certificates it helps you in other ways too. You can calculate inbreeding easily, keep health records for your breeding stock, and so on. Our software prints beautiful pedigrees. Really beautiful. Not just basic charts or ancestor tables - truly wonderful certificate grade results. 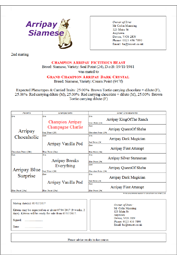 The kind of paperwork you will be proud to give your customers. You want them to be impressed. A certificate is an important document and should look professional. If you are a Mac user you might like to know that our PedPro software is available as a native Mac application. 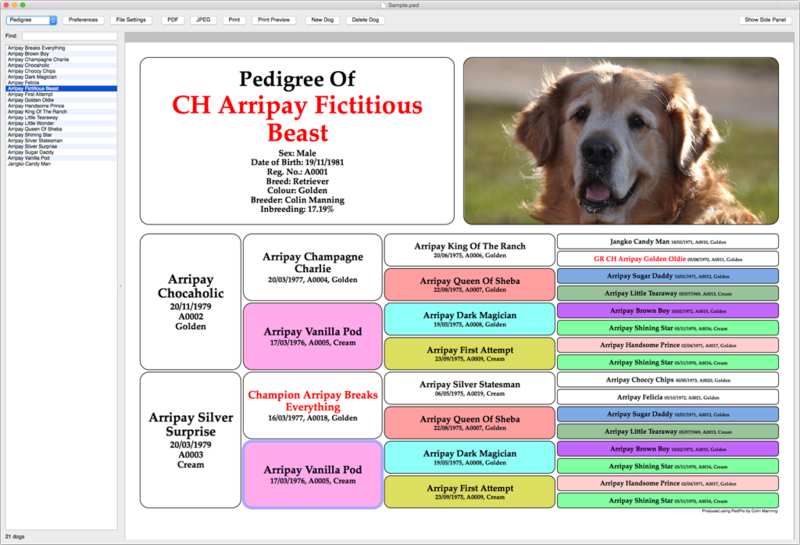 Our Breeders Assistant product helps you create gorgeous pedigree certificates with special effects including ancestor highlighting and calligraphic text. You can improve the health of breeding lines by monitoring inbreeding and relationships. Breeders Assistant helps by calculating coefficients for every animal in your database, and gives you a detailed individual analysis. With Breeders Assistant Pro Edition you can predict the color outcomes of prospective matings based on the known color genotypes of the parents. Breeders Assistant will print your other paperwork including customized sale agreements and cover sheets. 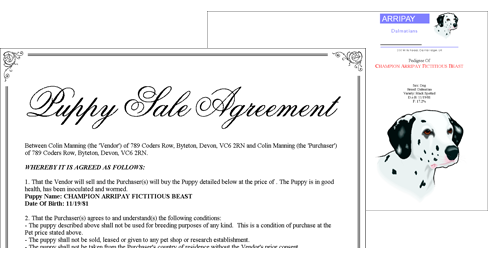 If you have cats or dogs at stud our software helps by printing your stud service papers (mating certificates). 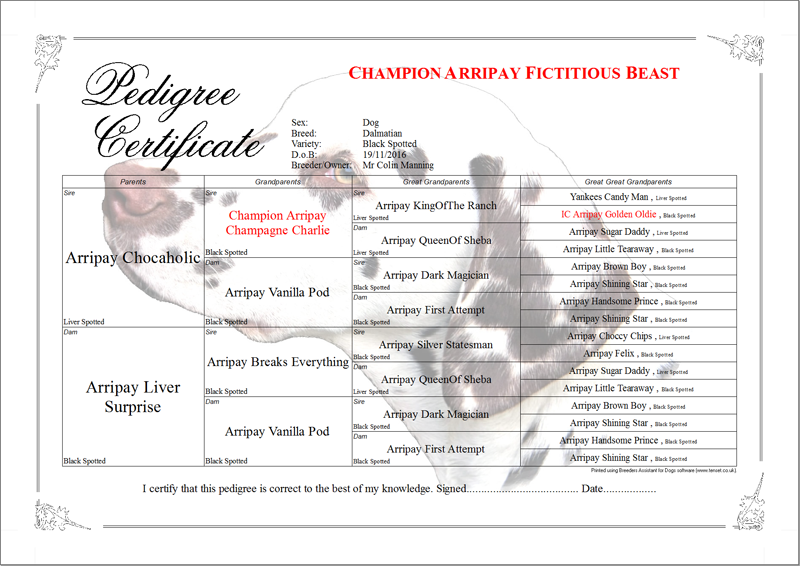 Breeders Assistant includes many different certificate layouts, for example a plain boxed style with a photo. This is a 5 generation grid-style certificate without a photo. This layout includes a 4 generation grid with 'copperplate' calligraphic effects. 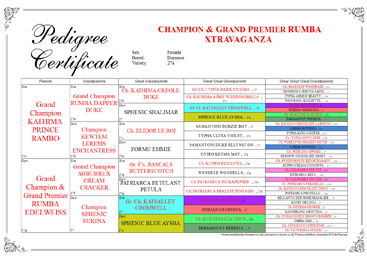 Pedigree charts can use a bracketed style rather than the more typical table, such as this 4 generation layout with photo and customized border. A trial mating can be printed where the parents are named but without any offspring. 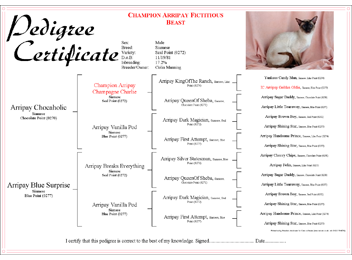 For example this 4 generation certificate includes a watermark photo behind the ancestors table and a coat color prediction for the expected kittens/puppies. As a responsible breeder not only do you want to breed healthy animals but you want to improve your breeding lines e.g. to improve conformity to breed standards. Our products help you understand the relationship between sire and dam, to know how they are related through their pedigrees. The software calculates the inbreeding for any animal or prospective mating in your database using Wright's method. It will highlight repeat and common ancestors instantly. So you can see at a glance which ancestors are giving rise to inbreeding, and which ancestors are having the greatest influence. 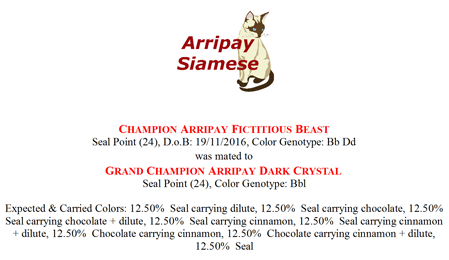 With our Breeders Assistant program you can also view the %blood influence of ancestors in any mating. Building pedigrees by hand is a very time consuming process as anyone who has done it will know. Frequently you find yourself copying out the same ancestors, often multiple times within the same certificate. Whether you've done it in longhand or with software such as Excel or Word to create a template or chart, you face the same fundamental problem of having to repeat the same information over and over again. 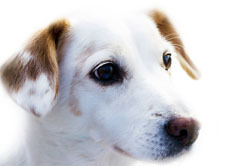 With our products once you have entered the details of any given animal you don't have to do it ever again. No matter how many times it recurs as an ancestor in other pedigrees. 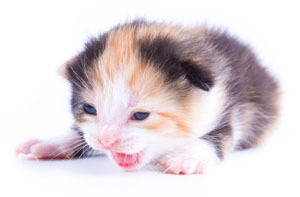 Breeders Assistant is our most comprehensive product for cat and dog breeders. Whilst it's designed for Windows computers you can also run it on a Mac if you have 'Parallels' or similar. 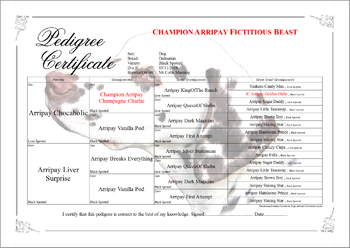 It includes highly customizable pedigree certificates, mating/stud certificates and detailed record keeping & features for kennel/cattery management. It is available in several editions. Whilst many customers find the Personal edition does everything they need, there is also a Professional edition which includes higher database capacity and advanced genetics such as coat color prediction. Another aspect of this product is that it comes it different versions that have been tailored to the differing needs of cats, dogs, rabbits, rats, horses, livestock and other animals. There is also a Generic version suited for any other species. For example, Breeders Assistant for Dogs is a version of the product tailored to the needs of dog breeders - it knows about dog colors and titles and with the Professional Edition it includes an understanding of canine color genetics allowing predictions of prospective offspring to be incorporated into paperwork such as trial matings. Likewise Breeders Assistant for Cats has support for GCCF, CFA and TICA and inbuilt knowledge of GCCF compliant EMS codes. 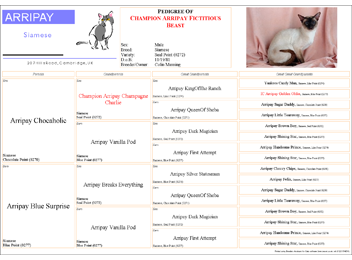 Similar to the dog version, the Professional Edition also includes knowledge of feline color genetics, which gives you the means to include predictions of color in mating certificates etc. PedPro is a breeding program for your Windows or Mac computer. 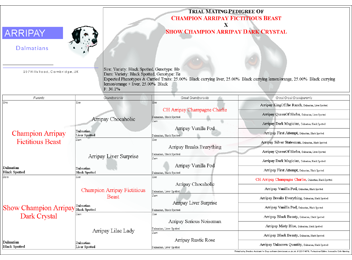 It offers you a straightforward pedigree template layout which you can fill in and then print or save to PDF. It also gives you the means to transfer (import) data from other programs. 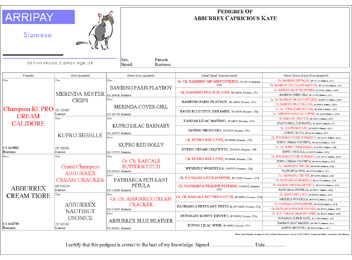 Pedigree Assistant is a sister product to Breeders Assistant that generates the same fantastic printed pedigrees but without many of the other lesser used features. Chosen by many customers who just need a very good pedigree maker but little else.